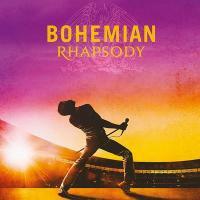 Titre(s) Bohemian rhapsody : bande originale du film. Contient 20th Century Fox fanfare. https://www.gamannecy.com/polysson/201810/01-0602567988700.mp3. - Somebody to love. https://www.gamannecy.com/polysson/201810/02-0602567988700.mp3. - Doing all right (Revisited). https://www.gamannecy.com/polysson/201810/03-0602567988700.mp3. - Keep yourself alive (Live at the Rainbow). https://www.gamannecy.com/polysson/201810/04-0602567988700.mp3. - Killer queen. https://www.gamannecy.com/polysson/201810/05-0602567988700.mp3. - Fat bottomed girls (Live in Paris). - Bohemian rhapsody. - Now I'm here (Live at Hammersmith Odeon). - Crazy little thing called love. - Love of my life (Rock in Rion). - We will rock you (Movie mix). - Another one bites the dust. - I want to break free. - Under pressure. - Who wants to live forever. - Bohemian rhapsody (Live Aid). - Radio ga ga (Live Aid). - Ay-oh (Live Aid). - Hammer to fall (Live Aid). - We are the champions (Live Aid). - Don't stop me now (Revisited). - The show must go on.